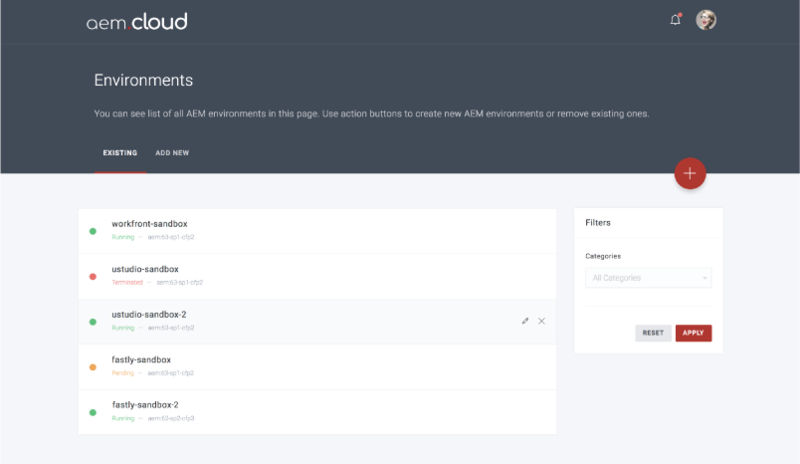 AEM Cloud by Hoodoo Digital | Auto DevOps to ease Adobe Experience Manager management. A full-service DevOps platform with a 99.9% SLA that gives you easy to provision AEM environments with an intuitive admin dashboard, a CLI, and Git driven configuration; making it easy for everyone touching your AEM projects. Full build pipeline integrated with your Git repository using OAuth. Kubernetes based architecture tested for Amazon Web Service, Google Cloud Platform, Microsoft Azure, or VMWare. New environments at the the press of a button whether from the AEM Cloud CLI or web interface. Develop on Docker images driven by the same configurations as production and enabled with a suite of AEM tools to make your job easier. If you’re a web developer, you can stop using maven builds and your content will always be in sync with your AEM repository. Sound nice? It is! What you need: 99.9% SLA, 24/7 support, patches and updates, comprehensive monitoring, log management, backups and restores, performance testing, simple deploys and rollbacks. Start using AEM Cloud and transform your relationship with Adobe Experience Manager implementation project.